You’re probably already familiar with the three big credit card award programs: American Express Membership Rewards, Chase Ultimate Rewards and Citi ThankYou. They’re great because you can transfer the points you earn directly to frequent flyer programs. But there’s another very flexible program you should know about that also offers transfers to airlines partners: Starwood Preferred Guest. SPG is technically the loyalty program of Starwood Hotels, but in reality it’s much more than that. You can earn SPG points with co-branded credit cards, and it has more airline transfer partners than any of the other credit card rewards programs. Even if you don’t often stay at Starwood properties, you should consider joining the program. It’s not just that Starwood has a whopping 36 airline transfer partners, but SPG also offers a 5,000-mile bonus for every 20,000 points transferred to an airline frequent flyer program. So if you transfer 20,000 points, you’ll get 25,000 miles; 40,000 points gets 50,000 miles; and 60,000 points gets 75,000 miles. There are other hotel loyalty programs that allow members to transfer points into airline programs, but their transfer rates are typically pretty bad. SPG is the only hotel program with 1:1 or better transfer rates for nearly every partner. While there is no limit on the total points you can transfer, you can’t transfer more than 79,999 points in any 24-hour period. In fact, you shouldn’t transfer more than 60,000 points in a day since the last 19,999 points won’t earn the 5,000-point bonus. Until recently, earning a lot of SPG points without actually staying at hotels was difficult. There are only two SPG American Express credit cards. Personal card comes with 75,000-point sign-up bonus after spending $3,000 in the first 3 months. With business version of the card you can earn 100,000 bonus points after you make $5,000 in purchases within the first 3 months. However, that changed when Starwood merged with Marriott. 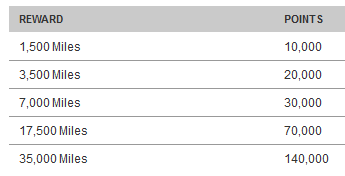 Now you can freely convert points between the two programs at a rate of 3 Marriott Rewards points to 1 SPG Starpoint. For example, 60,000 Marriott points are worth 20,000 Starpoints, which become 25,000 miles if they’re transferred to an airline partner. That’s not a bad rate, particularly since Marriott offers much lower rates if you transfer points directly to airlines. They typically transfer at a rate of 2.8:1 to 10:1, depending on the airline. Marriott transfers are another story. There are different transfer schemes depending on the airline. In general, the transfer rates improve the more points you transfer. For example, transferring 10,000 Marriott points to American Airlines gets you 2,000 miles, or a 5 to 1 ratio, but transferring 140,000 points gets you 50,000 miles, or 2.8 to 1 ratio. However, with the airlines above you’ll always be better off transferring Marriott points to SPG first because of the better transfer rates and the 5,000-mile bonus. For example, you’ll need 140,000 Marriott points to get 50,000 American Airlines miles with a direct transfer. You can save Marriott points, though, by transferring them to SPG first. If you transfer 120,000 Marriott points to SPG at a 3:1 ratio you’ll have 40,000 Starpoints. 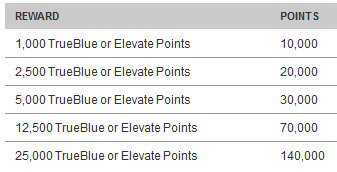 Those points transfer to American at a rate of 1:1, but you’ll also get two 5,000-mile bonuses. That’ll get you the same 50,000 American Airlines miles, but for 20,000 fewer Marriott points. Starwood’s transfer rate with United is 2:1. That’s not great. 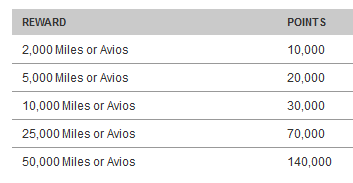 In order to get 25,000 United miles you have to transfer 40,000 Starpoints. However, you’ll get a much better deal if you transfer SPG points to Marriott first. Transferring 19,000 Starpoints will give you 57,000 Marriott points, and 56,000 Marriott points are worth 25,000 United miles. This is a fantastic loophole for transferring Starpoints to United at the same great ratio that you can enjoy with other airlines in SPG’s program. There’s another way to get a good rate on transfers from SPG to United with Marriott’s Hotel + Air Packages. For 270,000 Marriott points, you can stay for one week at a Marriott hotel or resort and earn 132,000 United miles at the same time. You can also transfer from SPG to Marriott at a 1:3 ratio and get the same reward for 90,000 Starpoints. This is actually a better rate than you’ll get with a straight transfer from either program. To get 125,000 United miles, you’d have to transfer either 280,000 Marriott points or 94,000 SPG points. But for just 270,000 Marriott points, or 90,000 SPG points, you’ll get 132,000 United miles plus a week at a Marriott hotel. Which Airline Transfer Partner Is Best? Having points in a program that has 36 airline transfer partners means that you have a real choice. You can transfer SPG points to airlines that don’t have any other transfer options, like JAL or Alaska, or you can top up your miles with airlines like Singapore or Virgin Atlantic. In future posts, we’ll explore some more of the unique transfer opportunities SPG offers.